The Barre Code is a flexible franchise opportunity perfect for semi-absentee owners seeking to diversify their portfolio with 3 to 10 studios across a protected territory, as well as for fitness enthusiasts who seek hands on ownership of 1 or 2 studios in their community. 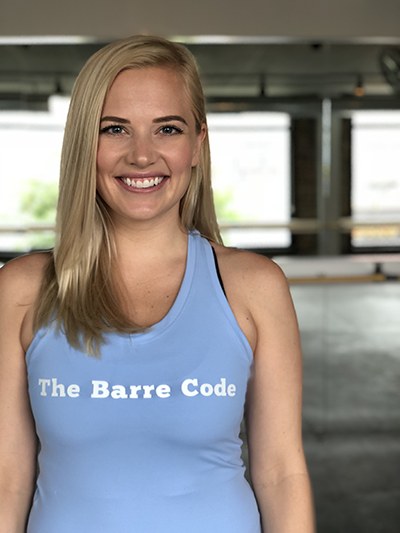 Franchise owners with The Barre Code are supported by a world-class corporate headquarters and benefit from the stability of reoccurring revenue from auto-paying members, as well as an impressive merchandise line and certification fees from trainers. The 2,000 sq. foot studio immerses members in a unique experience centered around the ballet barre while incorporating elements from dance, kickboxing, HIIT and yoga. The clean and bright layout features a sleek modern white design punctuated by the color pops of The Barre Code brand. Proprietary studio scents, trend-forward apparel, and curated playlists mixed just for TBC franchisees are all part of the experience that evokes all five senses. Beyond the lobby, apparel store and changing areas, clients enter the classroom which was designed by HQ on behalf of franchise owners. Inside the classroom, the most effective and positive workout of your life awaits. Constantly changing class styles focus on cardio, strength and restoration with an emphasis on motivation, positivity, and empowerment. SELF Magazine called it “one of the best workout routines in the country” and any person who takes a class will see why. Speed to open and speed to profitability is a mantra for The Barre Code. For our franchisees, we support site selection as well as all studio design services. All signage, equipment, sound systems, and every element of the experience are coordinated by HQ support teams. As an owner, each month your studios receive newly-created class routines, custom-curated music playlists, editable social media graphics & marketing materials, national marketing campaigns & brand partnerships, seasonal apparel collections, and hands-on business coaching.